Erna Low, the Ski Specialist to the French Alps, launches the winter season with 10 New Properties. For the first time, Erna Low adds the picturesque resort of Arêches-Beaufort. 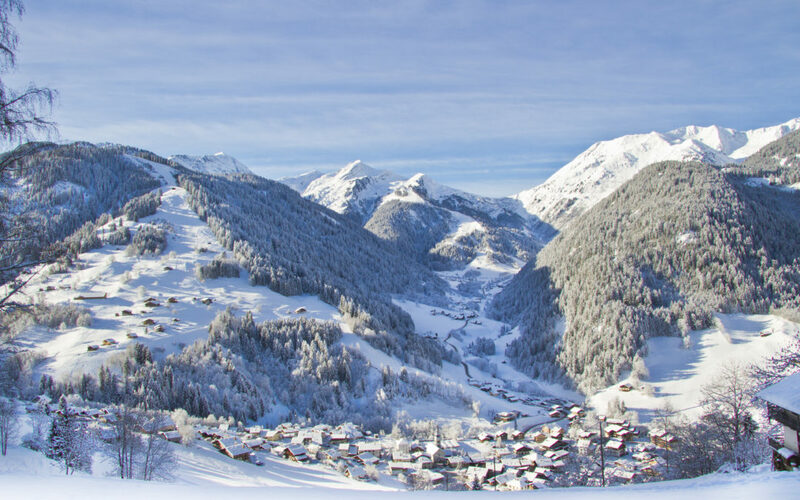 Arêches-Beaufort is a great resort for families as it has a much shorter drive time from Calais as well as being a good value alternative to more well-known resorts. It is close to Albertville in the Beaufortain valley and will be particularly attractive to lovers of the famous Beaufort cheese. 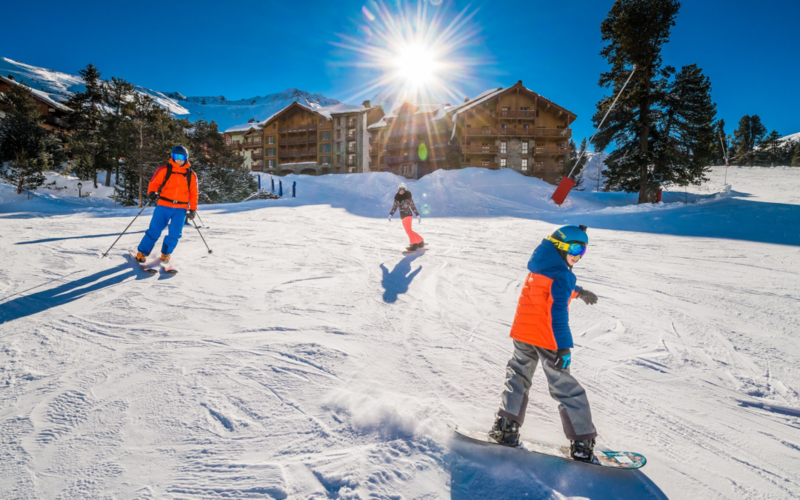 Whilst the resort is little-known on the UK market, the advantage is that prices are very competitive throughout the season. A seven night stay in the New 4* La Cle des Cimes Residence with its indoor pool and ô Pure spa will cost just £747 for the week beginning 05 January 2019 for a 1 bedroom apartment for 4 person including a return Flexiplus crossing with Eurotunnel for 1 car. That equates to £187 per person including travel. 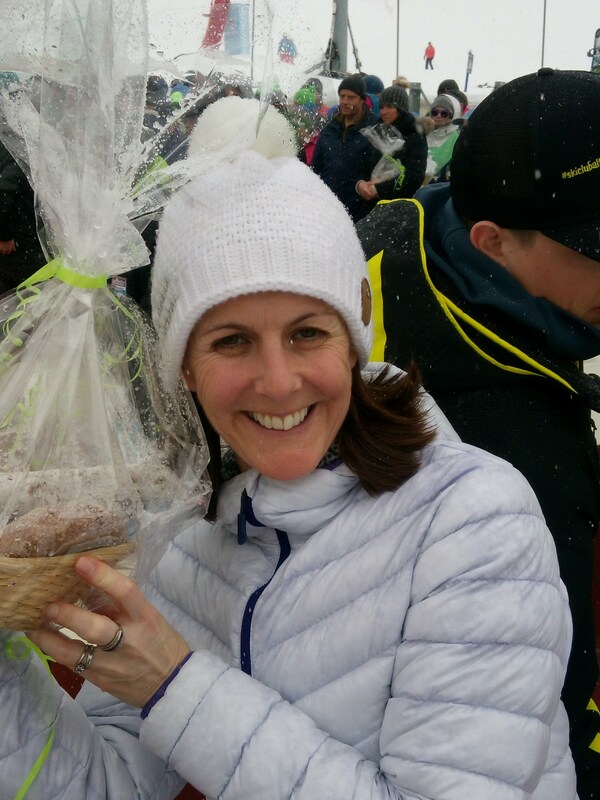 Joanna Yellowlees-Bound, CEO of Erna Low comments, “Over the last few seasons we have realised that we are selling more self-drive ski holidays to the French Alps than any other type of ski holiday, so moving forward this is what we have decided to focus on – ski holidays to France. 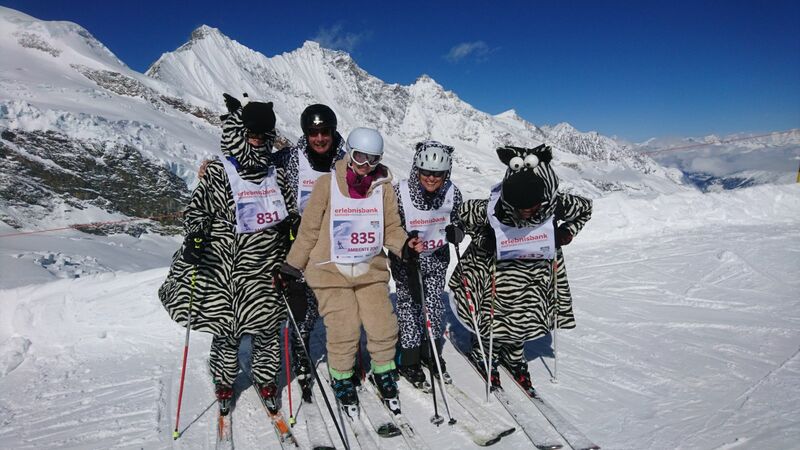 With all our years of experience and knowledge, we endeavour to find the best ski holidays for our clients”. Today Erna Low continues to promote travelling by car to the Alps and the company enjoys a special partnership with Eurotunnel. The result is that all clients travel with Flexiplus (equivalent to travelling Club or First Class on a flight). Clients enjoy access to the new Flexiplus lounges in Folkestone and Calais and benefit from priority boarding. This new hotel with some additional spacious apartments in the Residence Daria-I-Nor is in the central Eclose area of Alpe d’Huez, with spectacular panoramic views of the valley and easy access to the slopes. Erna Low offer 7 nights from 05 January 2019 for £1536 for a 1 bedroom apartment with cabin for 4 persons including use of the fabulous spa facilities at the hotel. This price also includes a return Flexiplus crossing with Eurotunnel. Erna Low offers 7 nights in ski in-out Arc 1950, France, for February half term with a saving of 10% on the accommodation. A spacious 2 bedroom apartment for 4/6 persons was £3801 and is now £3460. All residences have their own pool and the resort offers a programme of activities for children during the week, as well as having a crèche for little ones. This price also includes a return Flexiplus crossing with Eurotunnel arriving 16 February 2019. There are further Early Booking Discounts of up to 20% off low season dates. 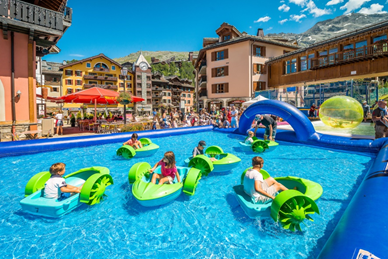 Arc 1950, village resort in the French Alps, launches its Summer Season with a series of Wednesday Activity Days running throughout the summer high season. Arc 1950 The village opens on 7th July with the first ‘activity Wednesday’ taking place on 11th July. Focusing on a different theme every week, visitors to the village of Arc 1950 can enjoy FREE entertainment not just on these special themed Wednesdays but also throughout the week. Families with children of all ages can enjoy games, workshops, shows, watersports and more. New for Summer 2018 the ‘Outdoor Card’ for stays of over five days includes three free activities – choose from a half day guided hike, an intro to mountain biking for 8-12 year olds, a fitness class, intro to golf or an archery session. Arc 1950 also launches New ‘Arc en Scene’ Thursdays, with different bands and theatre groups performing in the village every Thursday over the summer holidays. Arc 1950 Le Village is a car-free, family-friendly resort where everything is planned to ensure that guests of all ages can make the most of their summer holiday. I was last in Saas Fee in late April several years ago when the sun shone and after a day of ski touring, the apres ski was long and the memories hazy. 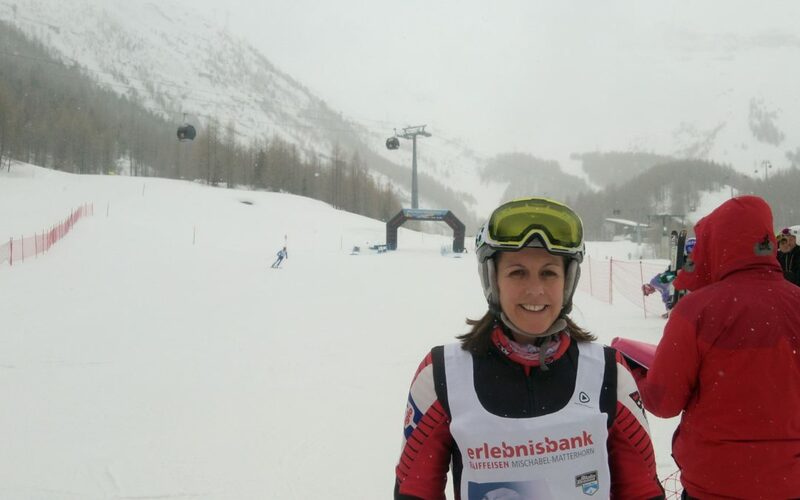 I returned last weekend, to complete the Super 3, the series of Swiss amateur ski races in which I have been taking part in this winter. 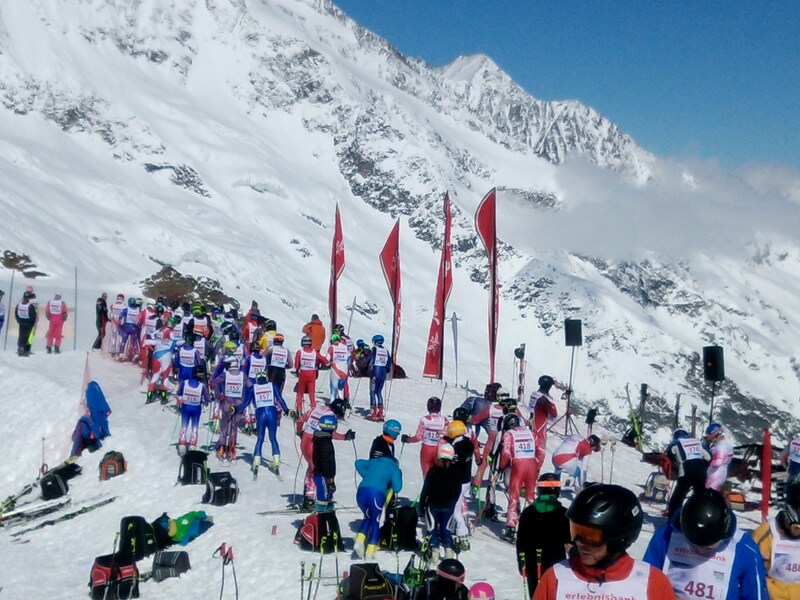 Saas Fee hosts the Allalin-Rennen, the third in the series after the Belalp Hexe in Belalp and the Inferno Rennen in Murren. 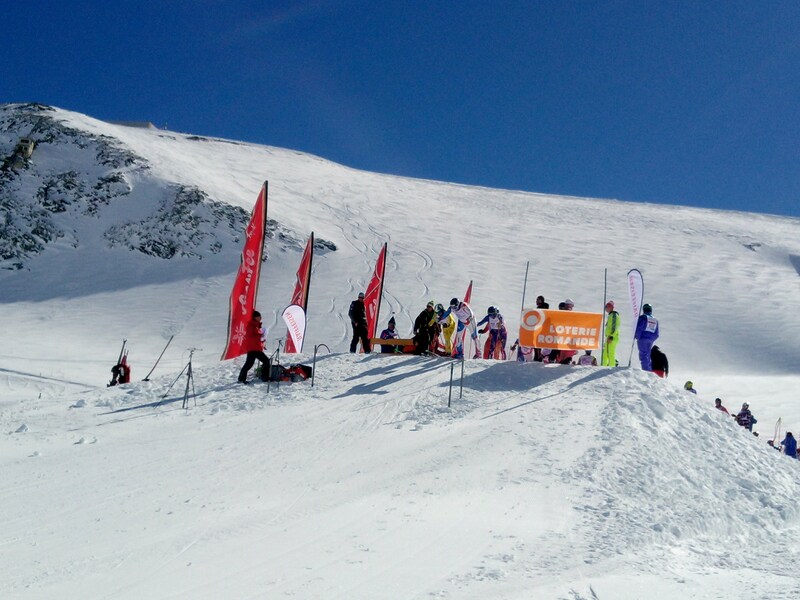 Tagged as the highest amateur glacier ski race, for this 36th Allalin-Rennen race we headed up to try and make a recce of the course from its glacier start on the Thursday before the Friday team event. Unfortunately with limited visibility and high winds, there was no access up past the top of the Spielboden lift at 2870m. 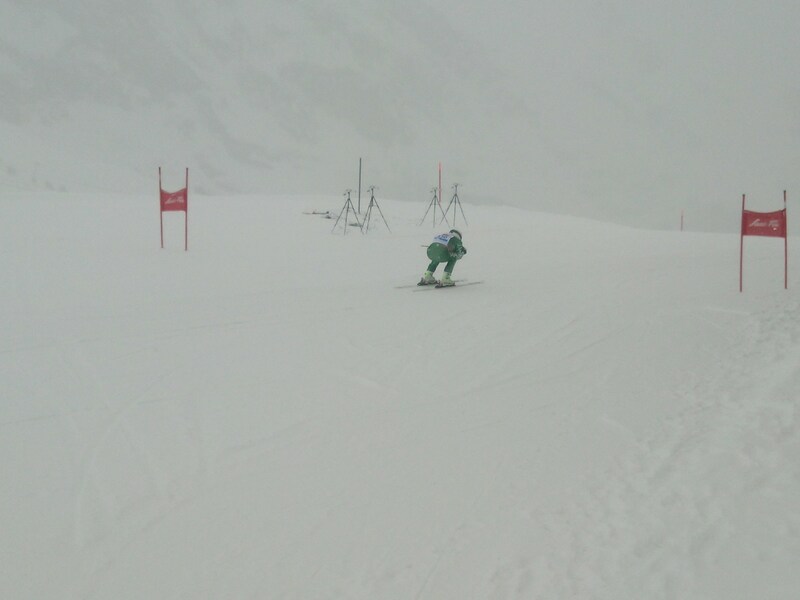 So skiing the course blind on Friday morning was ‘interesting’ but the weather was clear. The very top 100m was still not open, knocking around 40 seconds and 1km off the full 9km course. Starting just below the revolving restaurant at Mittelallalin, at 3500m, in my team of four, I let the three guys take the lead spots and tried to tuck in behind. 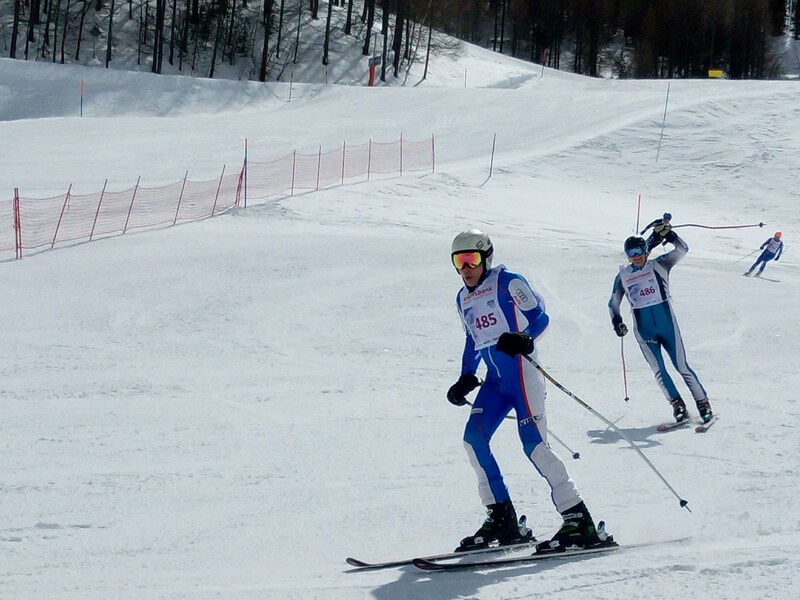 A long schuss starts the race followed by a blind steep drop with a compression at the bottom. Local Alex had told us to stay in the tuck, and with that I just held my breath and went for it. I’d lost sight of the boys so just weaved from left to right down the steeper section through the red gates, sharp left at the bottom, another steep section then in to a final right hand bend, avoiding the orange netting and in to the final long schuss to the end at the village level. 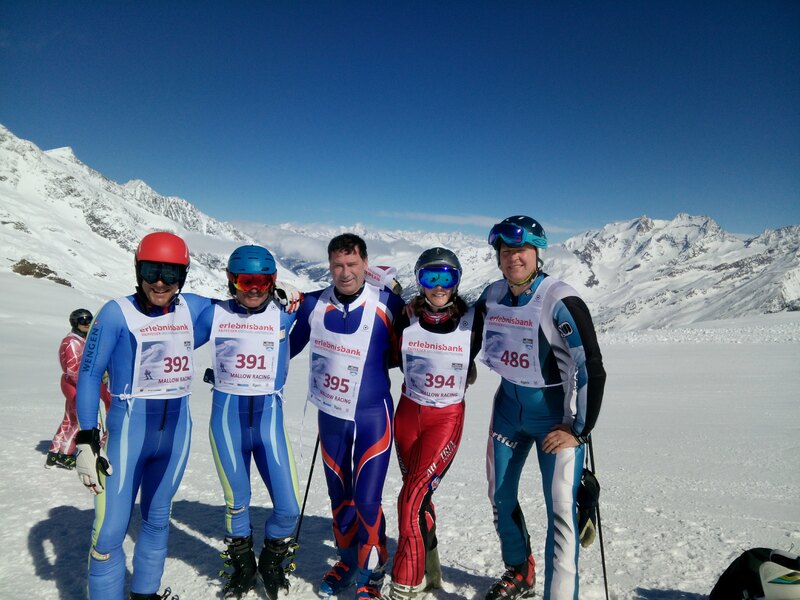 One of just two British teams, the other made up of two other super 3-ers and our local new friend Alex. Alex suggested Waldhaus Bodmen for dinner -a 10 minute walk out of Saas Fee along a snowy, icy track and we came across this old traditional chalet, perched on the side of the mountain overlooking the lower village of Saas-Grund. At one end of the restaurant is a huge animal pen full of rabbits, guinea pigs and chickens. I chose lamb for my main, just to save one of those little mites…altho to be fair I think they are there for entertainment value only…here’s hoping! The food is delicious, the setting stunning and the walk back an opportunity to digest the huge portions. Individual race day and the weather had once again socked-in. With a lower start, from the Morenia restaurant, we were able to stay dry and head out just before our individual start numbers. The challenge was to stay low in the tuck, make all the gates in the tricky visibility and stay out of the netting. The fastest time was, 1min 59. My time was 3 mins 12, 6th place in my category, and winning me a basket of local cheese and sausage! 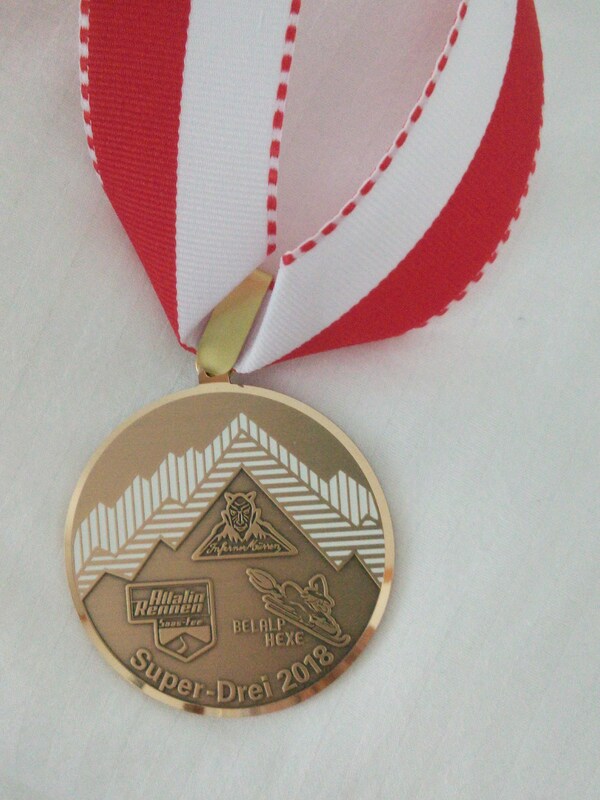 I now have my Super 3 medal, and feel proud to be one of just 23 women to race the triple series this winter and the only British woman to take part. 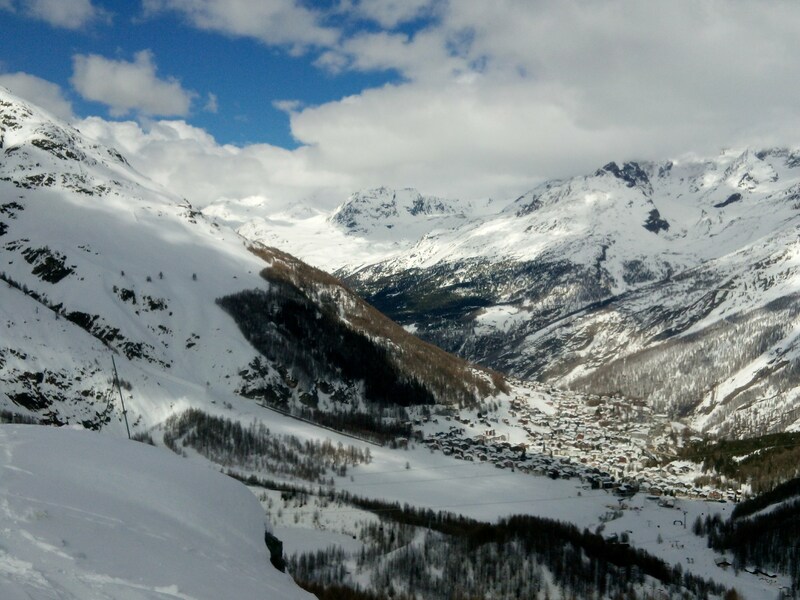 Leaving on Sunday morning, the skies cleared offering stunning views of the cascading glaciers and pistes in the huge bowl and ski area above the village. Spring brings warmer temperatures, sunshine and ideal skiing conditions for a great end to the season in Arc 1950, closing on 28th April 2018. 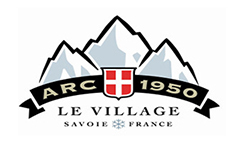 All week long, Arc 1950 will be hosting concerts and shows at the end of the skiing day for everyone to enjoy. Find all sorts of great deals on the world’s top winter clothing brands. To celebrate the end of the season in style, Arc 1950 Le Village invites you to make the most of its sunny terraces with barbecues and concerts. See attached for full details. There were a record number of sales of existing properties last year (958,000 report page 5). Along with strong international demand, this is helping to drive a wave of new developments across the French Alps. Vaujany, connected to Alpe d’Huez, is a great example of this where Erna Low Property currently has three developments in progress with sales being fuelled by the impending 2021 lift- link to neighbouring ski resort Les Deux Alpes. French resorts are involved in a “race to the top” to become global brands – and they are investing staggering amounts of money in redevelopment and infrastructure. La Plagne, for example, has announced €455million of new spending (some of this is in collaboration with Pierre et Vacances). €12 million of this is focused on new snowmaking systems. La Plagne will also see its first 5* development of apartments – The White Pearl. Châtel continues to expand, with new developments taking advantage of its rising profile, both as a ski resort and a mountain-biking hub. Ultra-low Euro mortgage rates mean the cost of borrowing is cheap [see graph on page 5]; repayments on, for example, a €240,000 fixed rate mortgage are still considerably lower in 2018 than they were in 2011 and 2014. Buyers are ever-more interested in summer – a resort with good summer facilities, close to Geneva or other main airport – are now as sought-after in summer as in winter. Erna Low Property has been selling properties in the South of France for over 10 years. Complementing its Alps business, clients have options in the Cote d’Azur and Provence. NEW, close to Cannes, Villa Alice offers apartments from just €150,000. The age of the rabbit-hutch apartment is gone, and our partner developers such as Nexalia and Terresens offer more spacious properties, with bigger windows, higher-quality finishes, and wood-burning stoves. Customised interiors (e.g. you can reduce the number of bedrooms if you want a bigger lounge), and more flexible rental schemes are all part of the scene now. Erna Low Property was established to offer customers the opportunity to purchase properties in some of the world’s most beautiful and desirable locations. Whether looking for snow or sun, Erna Low Property helps buyers to choose the perfect property for holidays, retirement or investment. 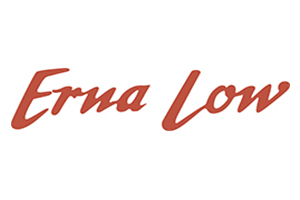 Erna Low’s ongoing relationship with top Canadian resort developer Intrawest (well-known for pioneering Whistler and Mont Tremblant in Canada and Arc 1950 Le Village in France) led to the launch of Erna Low Property in 2003. 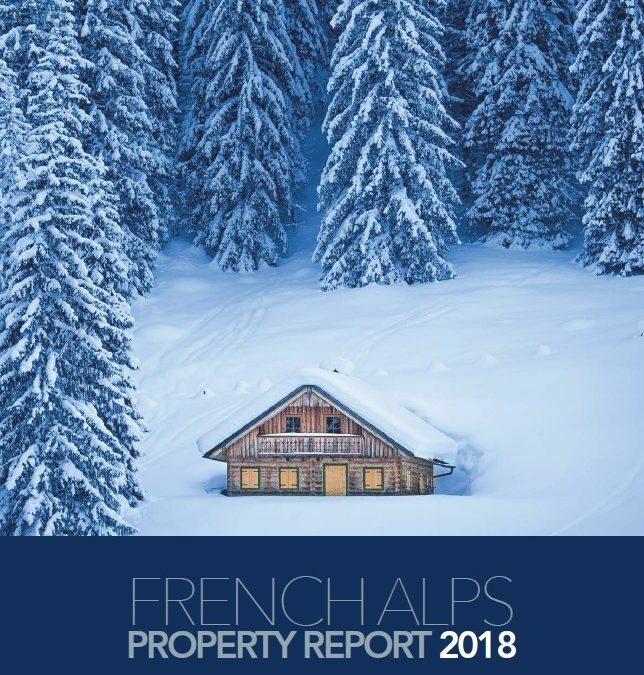 Arc 1950, a new ski village in the French Alps and Intrawest’s very first project in Europe, was the first key property sales project for Erna Low and over the past few years, Erna Low’s property sales service has gone from strength to strength. Erna Low Property has its dedicated Estate Agency to sell properties all over the Alps and the South of France to property investors. Erna Low Property now holds a sizeable portfolio of properties from the French Alps, across Europe and beyond. With their background as a specialist, niche tour operator, Erna Low Property and Erna Low Travel have been hugely successful in introducing many clients to both property sales and holiday rentals.